Leicester City manager, Claude Puel, has explained Ahmed Musa does not play regularly. The French gaffer also said the club will make a decision on the future of the Nigerian forward in January. The Super Eagles star, who was a key man in his Russian club, joined the Foxes from CSKA Moscow last season but has struggled to make an impact since the move. Musa is yet to kick the ball in a Premier League game for Leicester City this season. He only featured once in a Carabao Cup clash against Sheffield United in August where he scored for the club in their 4-1 win. He has made four appearances for Leicester City U-23s. 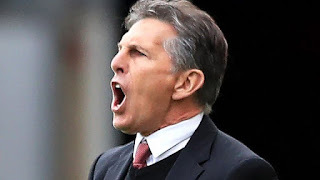 Puel told BBC Sport, “It’s not the time to speak about if he can bring something to the squad or if he can leave the squad in January.